Navigation menu is an important part of any website. Without navigation menus a website can not be looks good and it looks like the website is not properly arranged. WordPress has a nice navigation system that you can find in Appearance>>Menus. From here you can add menu to your navigation. Almost all the WordPress theme has already registered navigation menus. 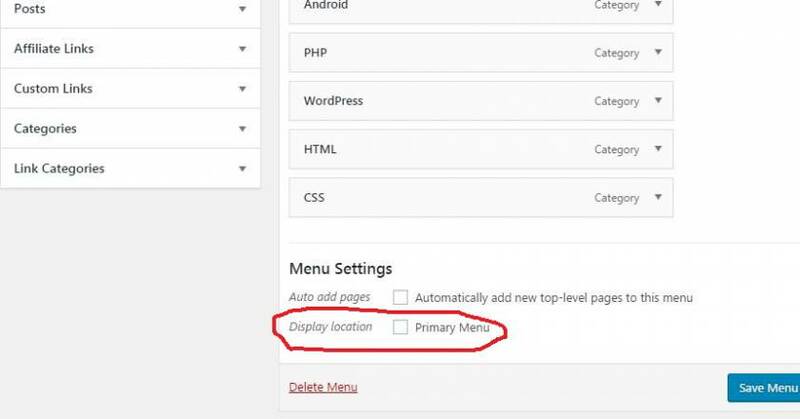 WordPress allows developers to register navigation menus with a nice way. WP always stand as a developers friendly CMS application and in the case of navigation menus also there are no exceptional. You just need to put few lines of code and your menu location will registered successfully. So how you can register navigation menus in your own WP theme? In this tutorial I am going to show you the code which will register navigation menu and you will be able to show it in your theme. Was that not rally so easy? Adding just a little bit of PHP code inside functions.php display a theme location. It will add the menus on your WordPress site through theme. Now you will be able to see it. WordPress is really so nice. Isn’t it? WordPress has nice environment for developers and it allows to do many other things that is really so interesting to know.